If you think that growing plants is merely about watering them and making sure they are healthy, think again. Many do not know that growing plants involves knowing the life cycle of each plant in your garden. Plants can be categorized into three categories according to their life cycle: annual plants, perennial plants, and biennial plants. 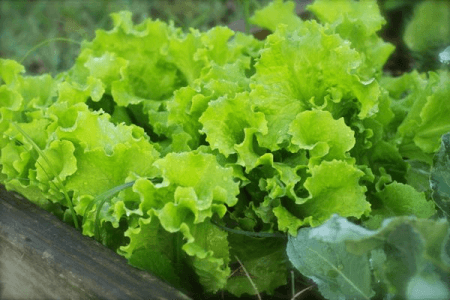 Whether you are growing vegetables, herbs, or ornamental plants, it is important to know which category your plants belong to in order to predict when to harvest or when to replant. So, what are the difference between annual, biennial, and perennial plants? Read on. Annual plants are plants that die every year. Their whole life span (from germination of the mother seed to production of the next generation seeds) occurs within the same growing season. They need to be replanted once the plant dies. Depending on the species of the plant, one seed-to-seed life cycle for annual plants may be completed in a single month or up to several months. Once a plant produces mature seeds, it dies but may leave a number of seeds. These seeds will remain dormant until the right season comes. When it is time for them to grow and the conditions are right, the seeds germinate and then go through the same cycle. Typically, annual plants grow one generation every year. Most annual flowering plants bloom for a long period of time. In the countries that experience winter, annual flowering plants, like petunias and zinnias, add beauty and color to the garden from spring until autumn. Common examples of annual plants are corn, wheat, rice, lettuce, beans, peas, zinnias, and marigolds. Biennial plants are plants that end their life cycle after two years. During the start of the cycle, the plant grows its vegetative structure (i.e. leaves and stems). The tiny leaves and short stems do not grow far from the soil. After this stage, the plant stems grows rapidly. The plant also begins to produce flowers and seeds. At the final stage – after two years – the whole plant dies. Biennial flowering plants bloom very well. 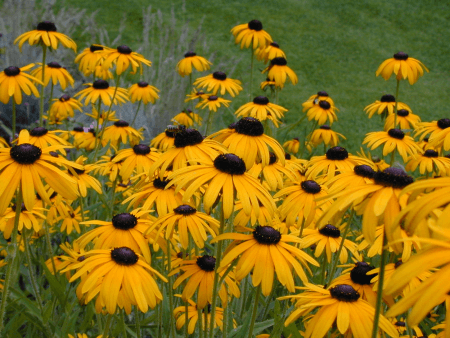 Examples of biennial plants include Black-eyed Susans, parsley, carrots, and leeks. Perennial plants, on the other hand, are plants that continue to grow for several years. There are two kinds of perennial plants: deciduous perennials and evergreen perennials. When the weather gets too cold, the top part of a deciduous perennial plant normally dies but its roots underground survive. Once the weather gets warmer, the top part grows back and gets its energy from the surviving roots. Evergreen perennial plants, like pine trees, survive the winter and they are commonly used as landscape plants in areas that experience intense cold weather. Perennial flowering plants, like tulips and lilies, bloom for a short period of time, usually for only a week or two every year. Because perennial plants are long lasting, gardeners do not normally replant them unless the plant itself needs to be replaced because of plant problems. Perennial plants do not stop growing and producing flowers and seeds even after a couple of years. In fact, many perennial plants can live for several decades. 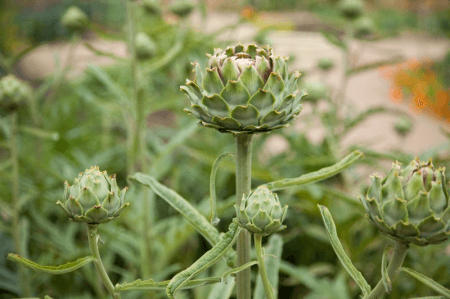 Examples of perennial plants include artichokes, rhubarb, eggplants, most fruit trees, and most herbal plants. It is important to note that some annual plants may become perennial plants when they are planted in their native climates. What, then, is the difference between annual, biennial, and perennial plants? Annual plants die yearly. The life cycle of annual plants (from germination to death) may happen in a month or several months. Biennial plants have a life cycle that is completed in two years. During the first year, the stem and leaves develop, and on the second year, the plant’s growth increases. Perennial plants can live for more than two years. In fact, some perennial plants have existed for decades. For annual plants, the plant leaves seeds for the next generation of plants. However, the seeds are dormant until the right season. Biennial plants grow just their vegetative structure the first year, may remain dormant during the winter and then produce seeds the second year. Perennial plants produce seeds throughout their lifetime, and these seeds can germinate while the mother plant is still alive. Gardeners who grow flowering plants love annual and biennial plants since they bloom very well. In fact, annual and biennial plants are normally used as decorations. Perennial plants do bloom, but only for a short period of time. Evergreen perennials are used for landscaping because they survive even when the weather gets too cold. Annual and biennial plants have to be replanted often because they do not last long. Perennial plants may not require frequent replanting unless there is a great need to replace the mother plant.